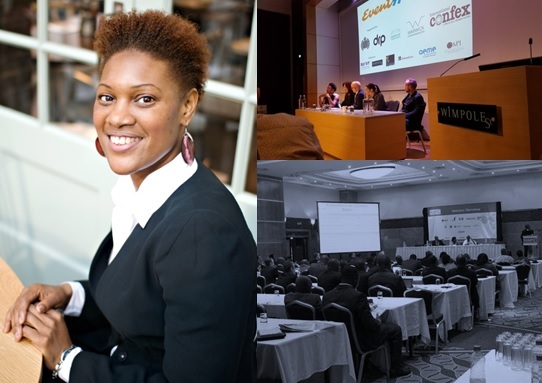 With more than 15 years in the business, Michelle Fanus, Director of Dynamyk Events delivers bespoke end to end conference and event management support for small and large scale events in the UK and internationally. Set up in 2009, Michelle had reached a point where she was struggling with the business. She was failing to maintain a steady cash flow and she was unclear of her business proposition and her target audience. She was giving serious contemplation to the future viability of the business. She registered with Building Legacies having been on a previous East London Business Place programme as she was looking to make one last attempt at saving the business. She felt she needed to get clarity on what she wanted to offer clients and how to maximise her skills. She also wanted to be more selective about the kind of business she wanted to secure. Michelle was allocated a business mentor who worked with her to re-evaluate her services, define her value proposition and re-construct her offering. On her first meeting with Morton, he was able to assess and evaluate her profile and business highlighting and working methodically through areas of improvement. Michelle worked with Morton to develop and define her vision for the business and worked on ways to get more from her existing client base. As a consequence she changed her market positioning, refined her business offering and worked with a large existing client to create and secure a more sustainable business opportunity in 2017. The business now has a clear plan and is forecasting healthy growth targets over the next 3 -5 years. “Whatever stage you are in your business, Building Legacies can help take you to the next level. They enable businesses to shape their vision. Morton was inspiring, encouraging and focused from our first meeting. He helped me to raise my game in terms of where I wanted to take the business. It was brilliant timing meeting him and he is encouraging and a supportive energy. From working with Morton I am ending on a superb 2016 and entering a brilliant, clearer, focused 2017. He is a delight to work with”. Next: Next post: Confidence coach and female entrepreneur discovers new business collaborations through Building Legacies networking!